How Virtual Reality Is Providing Playtime for Hospitalized Children - Augmented Reality, Virtual Reality & Mixed Reality services in Chennai, India. Of course, I haven’t really gone canine. I’m playing a game called Space Pups, one of 25 pieces of content pre-loaded onto the virtual reality headsets that makeup Starlight Xperience. It’s the latest program from Starlight Children’s Foundation, a Los Angeles–based nonprofit that aims to provide comfort and joy to hospitalized kids. That’s the goal here too, in this case by transporting sick little ones from their sterile environments to new worlds (à la Space Pups or the Droid Repair Bay created by financial sponsor Star Wars: Force for Change), well-known destination spots (the Great Barrier Reef, Buckingham Palace) via Google Expeditions, or even the driveways of their own homes, thanks to Google Earth. It also helps that Children’s has been an early adopter of visual and augmented reality; staffers started a dedicated program two years ago, and the medical centre became the first pediatric hospital in the country to create a gaming and technology specialist position. 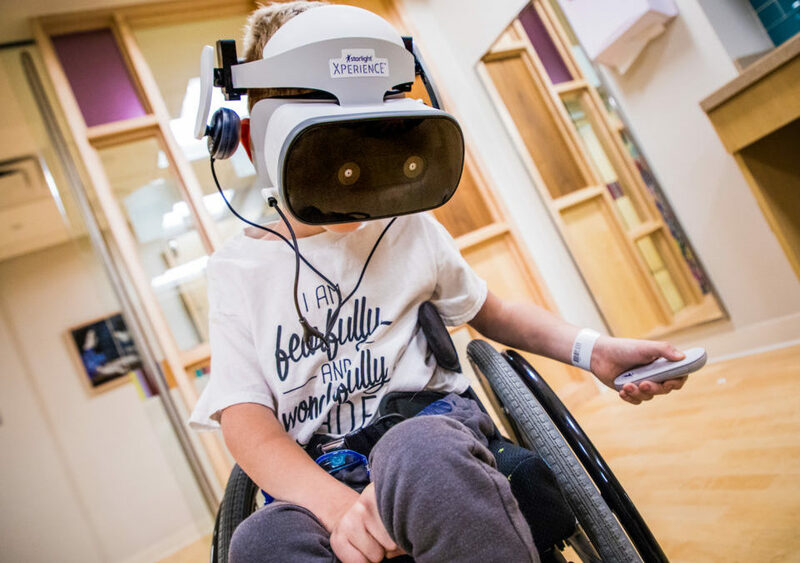 As a result, the physicians and child-life specialists are familiar with different VR platforms and could provide helpful feedback to Starlight on what to tweak before Starlight Xperience officially launched on October 11.